The Tsukiji fish market in Tokyo has seen some pretty spectacular specimens in its day. After all, in 2001, a 445-pound fish sold at auction there for 20.2 million yen. Now, that record has fallen. 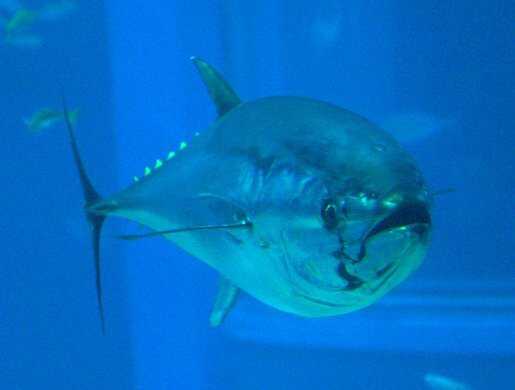 A 754-pound bluefin tuna caught off the coast of northern Japan was sold at auction for $396,000 or 32.49 million yen. That’s a meaty $526 per pound! Interestingly enough, the same ownership group that bought the top fish at Tsukiji last year also picked up the record-smashing 754-pound bluefin. It’s a cooperative effort between two sushi restaurants, upscale sushi restaurant Kyubey in Tokyo’s Ginza district and Itamae Sushi, a Hong-Kong-based casual sushi chain. “I was nervous when I arrived in Tokyo yesterday, but I am relieved now,” said Ricky Cheng, one of the winners of the auction. One-third of a ton of tuna fish is going to make a whole lot of sandwiches, but it’ll make its money back easily. A single piece of o-toro, or fatty bluefin, can sell for up to $24 per piece at high-end Tokyo restaurants.